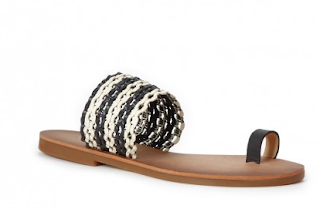 Let's talk sandals. It's pedicure time. Get those toes painted and looking good because it's time to let them breathe in sandals. 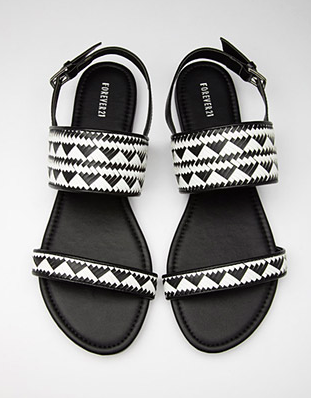 Today's sandal pick is a woven one in monochrome. 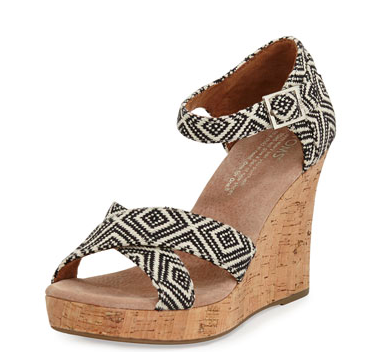 A very simple shoe that will be very versatile in your closet. I like the woven look because it's casual and easy. Yes, that Billabong. Stay with me. How Anthro are these sandals? Love the price point. You know the brand, you love the comfort, this sandal delivers all of that and more. 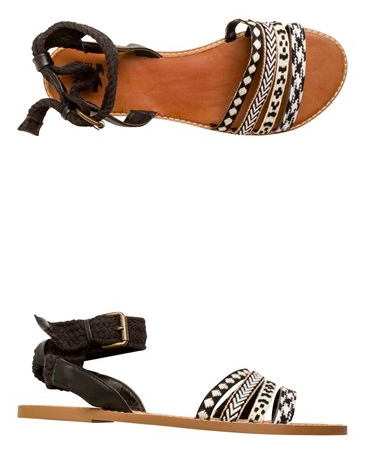 A well-traveled pattern makes these sandals perfect for a fun weekend. Simple, chic, denim-ready. That's about all you need to know. Nothing too groundbreaking about this trend and that's why I love it. It's timeless and perfect for weekends or vacation.